Gov. David Ige has signed a bill to make his state the first to raise the legal smoking age to 21. The measure aims to prevent adolescents from smoking, buying or possessing both traditional and electronic cigarettes. Gov. David Ige signed it Friday. Associated Press. Hawaii Gov. 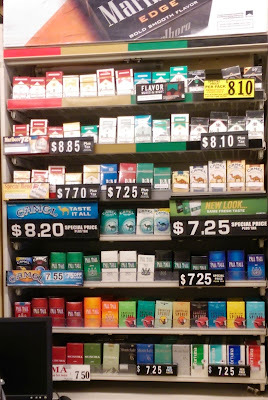 David Ige signed a bill Friday that will make Hawaii the first state in the nation to ban smoking for anyone under the age of 21 once it goes into effect Jan. 1, 2016. Civil Beat. The number of homeless in Hawaii increased to its highest level in five years, boosted by a dramatic jump in the number of unsheltered homeless individuals, who now outnumber the sheltered, according to data released Thursday by the state. Star-Advertiser. The latest count of Hawaii’s homeless population shows it increased by more than 10 percent — despite the high-profile efforts of Honolulu city and state officials to combat the issue. Civil Beat. Neighbor island data confirms houselessness on the rise The state released the neighbor island data from its 2015 Point in Time count today and, in all counties but Kauai, the number of houseless citizens has increased. Hawaii Independent. The state Department of Land and Natural Resources is proposing an emergency ban on harvesting sea cucumbers in Hawaii’s nearshore waters after officials were alerted to recent incidents of over-harvesting off Oahu and Maui. Star-Advertiser. The state Department of Land and Natural Resources says the recent mass harvesting of sea cucumbers from near shore waters on Oʻahu and Maui has prompted them to request emergency actions to prevent the depletion of this marine resource from Hawaiʻi’s oceans. Maui Now. Reports of mass commercial harvesting of sea cucumbers off Oahu and Maui that may be in the tons have prompted the state Department of Land and Natural Resources to seek a four-month emergency ban on the taking of the sea creatures. Maui News. A study that could have implications for Hawaii’s timber and wind-turbine industries has found evidence of two distinct lineages of the endangered Hawaiian hoary bat, which flew 2,500 miles across open ocean in two migratory waves. Star-Advertiser. Hawaii residents have until 6 p.m. Friday to submit comments on a controversial proposal to expand areas under federal protection and strengthen rules aimed at protecting humpback whales and other marine life. Civil Beat. Nearly halfway through their sail around the world, a group of researchers arrived in Hawaii to look at plastic pollution on our shores as part of a global study of the issue. Star-Advertiser. Republican reps ask Souki to stand down on ethics commission complaint. State reps. Ward and McDermott say the speaker has overstepped his authority, praise commission's executive director, Les Kondo, for his firm enforcement of the state ethics code. Hawaii Independent. The Hawaii Supreme Court on Thursday heard arguments about whether the names of Honolulu Police Department officers suspended for serious offenses should be made public — and whether the decision to release or withhold the names ultimately rests with the courts or Legislature. Star-Advertiser. The Hawaii Supreme Court heard arguments Thursday in a case that could have far-reaching implications for police accountability in the Aloha State. At issue is whether cops who are suspended for serious misconduct, such as assault, drunken driving or lying to investigators, should have their names and disciplinary records released under Hawaii’s public records law. Civil Beat. No apparent misuse in Honolulu officials’ pCard spending. KHON2. Hundreds of people packed the Moanalua Middle School cafeteria Thursday night to hear a draft plan to improve the Navy's fuel tank facility at Red Hill. About 27,000 gallons of jet fuel oil leaked from one of the tanks last year, prompting concerns about whether nearby drinking water supplies were affected. Hawaii News Now. About 200 concerned citizens turned out for a public hearing held by the Environmental Protection Agency to hear public comment on a measure that is supposed to address the damage caused by a 27,000-gallon fuel spill at the Navy’s Red Hill Bulk Fuel Storage Facility in 2014 and to prevent any future spills by the Navy. Star-Advertiser. The Honolulu City Council’s Zoning and Planning Committee resurrected a controversial issue in Kailua and O’ahu’s North Shore. That of vacation rentals in residential neighborhoods. Hawaii Public Radio. After three hours of testimony both in favor and against making more residential vacation rentals legal, the City Council Zoning and Planning Committee voted Thursday to defer the issue yet again. Star-Advertiser. Hawaii County’s homeless population has exploded in the past year, adding more new individuals than the rest of the state combined. In a count conducted statewide on Jan. 25, the state Department of Human Services logged 1,021 homeless individuals without shelter on the Big Island, and an additional 220 that were being housed either through emergency shelters or transitional housing programs. Tribune-Herald. With protesters waving signs outside their gate, developers of the Hokulia luxury subdivision say they are committed to moving quickly to create plans for burial sites, and will sit down with area descendants to craft plans for how graves should be protected and cared for. West Hawaii Today. For a pretty penny, you can own what is considered the largest privately owned tract of old-growth koa forest on the planet. Honolulu-based Finance Factors is selling a 13,129-acre property known as the “Hilo Koa Forest.” Tribune-Herald. Maui County's unemployment rate edged below 4 percent in May to 3.9 percent, 0.6 percentage point lower than the same month last year, the Department of Labor and Industrial Relations reported Thursday. Maui News. The drought that is gripping Kauai is expected to improve in some areas — and become more severe in others. Garden Island. “Squeezed Out: Understanding Kauai’s Housing Shortage” is the topic of the Kauai Planning and Action Alliance (KPAA) annual membership meeting Thursday from 2 to 4 p.m. at Kauai Community College, OCET Building, Room 105. The public is welcome to attend. Garden Island.